Omarosa Claims Trump Knew About Hacked Clinton Emails In Advance, Says Mueller Has Interviewed Her - Joe.My.God. 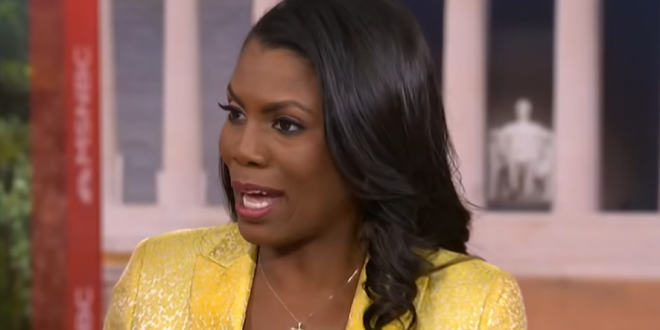 Ousted White House aide Omarosa Manigault Newman claimed Tuesday that President Trump was well aware that emails stolen from his rival’s campaign were going to be released to the public during the 2016 campaign. “Absolutely,” Manigault Newman stated matter-of-factly when asked by MSNBC’s Katie Tur if Trump knew about the release before it happened. The spurned former reality TV contestant threw her old boss and mentor under the bus as she confirmed that she has already spoken to special counsel Robert Mueller’s team — and will do so again. “I am going to expose the corruption that went on in the campaign and in the White House,” she said. Appearing Monday night on MSNBC’s “Hardball,” Manigault Newman said she’d be willing to cooperate with Mueller and his investigators.